It is with great sadness that the family of Karen Sue (Evans) Mayfield announces her passing on January 24th, 2019. She was 63 years old. Karen was the first born child of James Norman Evans and Nida Jane (Peppers) Evans. Karen graduated from Archie High School in May, 1973.She married the love of her life, Jerry Lee Mayfield, on December 7, 1996. Karen was preceded in death by her father (1978), her mother (1995), and her husband (2017). Karen has been a member of the Austin Baptist Church since she was 17. She loved our Lord and he blessed her all of her life. The occupations that Karen was part of included: Halfway Truck Stop cashier, florist at Lande Flowers in Grandview (1980-1985), restaurant owner on the square of Harrisonville, but her most rewarding occupation was her in-home daycare from 1994 to 2016. She loved and enjoyed all of her children and loved watching them grow into such wonderful young adults. She was so proud of them. 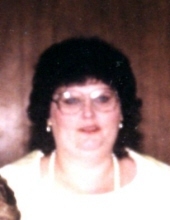 Karen will be remembered and missed by her sister, Nancy Kay Evans and her brother, Jim Evans and wife, Toni. She will also be missed by all of the children she watched and their families. Karen had many friends in all aspects of her life and she will be missed by all of them. Funeral Services were held Saturday, February 2, 2019 at the Dickey Funeral Home, Harrisonville, Missouri with burial in the Orient Cemetery, Harrisonville, Missouri. The family received friends Saturday, February 2, 2019 at the funeral home. To plant a tree in memory of Karen Sue Mayfield, please visit our Tribute Store. "Email Address" would like to share the life celebration of Karen Sue Mayfield. Click on the "link" to go to share a favorite memory or leave a condolence message for the family.